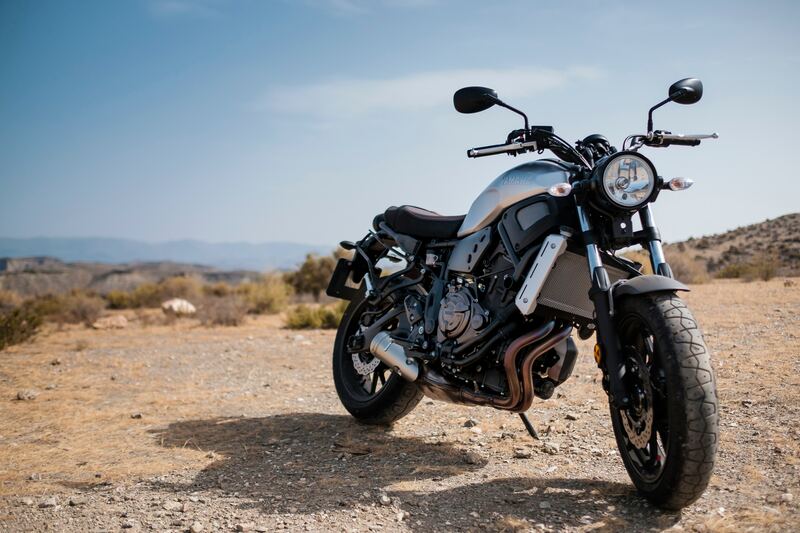 Selling your motorcycle can be a hassle, it can feel like a relief, or it can ready you for the next upgrade. But regardless of how you might be feeling, there’s always plenty of selling options when you’re working with our motorcycle shop. At Ruhnke’s Xtreme Cycles, we buy and sell motorcycles, and offer a consignment process for selling. But how does it work, and what are the perks of selling on consignment? Our motorcycle shop will explain all. Take a look at how consignment works, and bring your bike down to Ruhnke’s Xtreme Cycles when you’re ready to sell! And to also buy, of course, because that’s where the fun really begins. When you bring us your bike to sell, we’ll take everything into account (mileage, condition, year, etc.) and figure out a fair, market value price. From there, we’ll buy the bike from you, and have it ready to sell at our motorcycle shop. Ruhnke’s Xtreme Cycles takes a cut of the selling price once it’s bought. There’s a ton of reasons why you should sell us your bike, and it’s not just because you’ll get some money for it (though that’s always a good one). Ruhnke’s is committed to giving you a fair price for your hog, and we’re more than happy to talk through the process with you. Here are a few examples of why consignment can be beneficial. If you’re busy (who isn’t? ), the idea of posting up photos or signs around town or on Craigslist can be just another to-do on your seemingly endless list. Even though it can feel easy to get the word out online, there’s a good chance you’ll set up appointments for potential buyers to come see it, they end up not being interested, and you’re right back where you started. This can stretch the selling process out much further than if you were going to sell on consignment. When you sell to Ruhnke’s, we’ll take your bike sooner rather than later, so that you have more time to look for your next purchase, as well as just more time in general. Traveling around, being on the road — if this describes much of your life, you already know that you don’t have the time to meet up with every single person who might be interested in your motorcycle. By selling your bike by consignment, you won’t have to worry about the selling process, giving you the flexibility that you need and deserve. It’s not easy for everyone to be at their home when a potential buyer might be available; Ruhnke’s eliminates that added hassle. Your bike will get more visibility. Chances are, if your bike’s parked in front of your yard with a “for sale” sign attached, not a whole lot of people are going to see it. Really, the only people who will are those who drive by — and they’re probably not cruising around, looking for motorcycles. Parked up at a motorcycle shop like Ruhnke’s Xtreme Cycles, and people are coming by because they want to buy a bike. There’s a better chance of you selling your bike faster when the environment matches the audience. Selling independently, and you’ll have to figure out a ton of things on your own. Establishing the right price, understanding the deed/registration, collecting all the information that you can — all of these things require a lot of know-how. For many people, the time to figure all that out just simply isn’t there. At Ruhnke’s, our team will walk you through the process so that no step is missed, and we’ll also take the responsibility of selling your bike off your hands. It’s easy for you, and something that we love to do. Of course, getting rid of your bike will lessen up some space, regardless of how you sell. But for people who don’t have the space to consistently display and/or store their bike, or for someone who needs extra space now, and not later, it makes sense to take your bike into our motorcycle shop in Odessa. Instead of having to park it up in the front yard, where it might be at risk for hail damage or other harm (which would end up lessening the price tag), you can declutter the driveway or the garage and send your bike our way. Like we’ve said, there are a number of benefits to selling on consignment, and perhaps the greatest benefit of all is that you get to work with Ruhnke’s Xtreme Cycles. Our motorcycle shop is less like a dealer and more like a family, as anyone who’s worked with us will tell you. Bring your bike by our Odessa shop, where we also sell trailers and off-road vehicles, as well as offer service and repair. We look forward to seeing you.